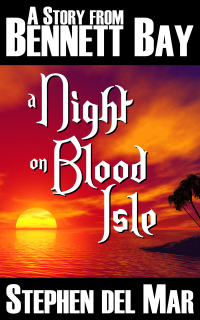 A Night on Blood Isle is out on Amazon. It’s only 99 cents (or free on KU) so give it a read. Paddy Sheehan invites a few of his grandchildren and nephews aboard the Song of Erin, a sailing yacht, for the family’s traditional Thanksgiving holiday sailing trip. They leave Bennett Bay and venture into the Gulf of Mexico for the Sweetwater Keys. The keys are a small cluster of islands with a mysterious pirate past. Infamous pirate captain, Caesar el Rojo, used Blood Isle, the keys’ main island, as his base of operations during the Golden Age of Piracy. What the crew of the Song of Erin doesn’t know is that pirates, of one kind or another, are still on Blood Isle. This story takes place approximately two years after the events in Return to Cooter Crossing. We spend time with Sky and Storm, who are now nine. Sean and Ethan are near the end of their first semester of college. And, we meet cousin Jimmy’s little sister and brother.